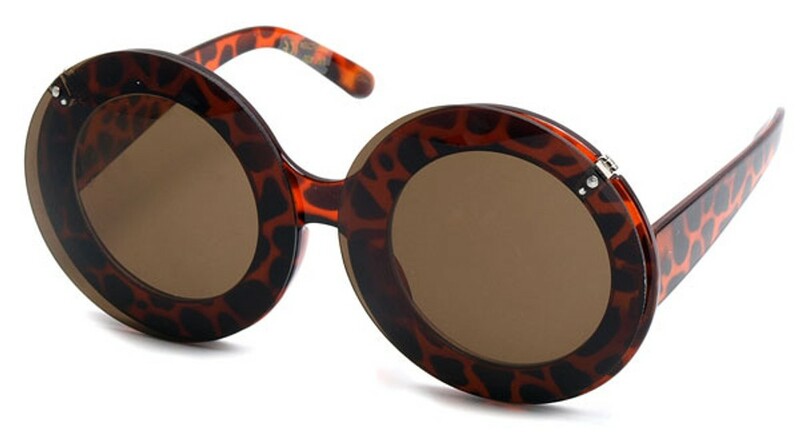 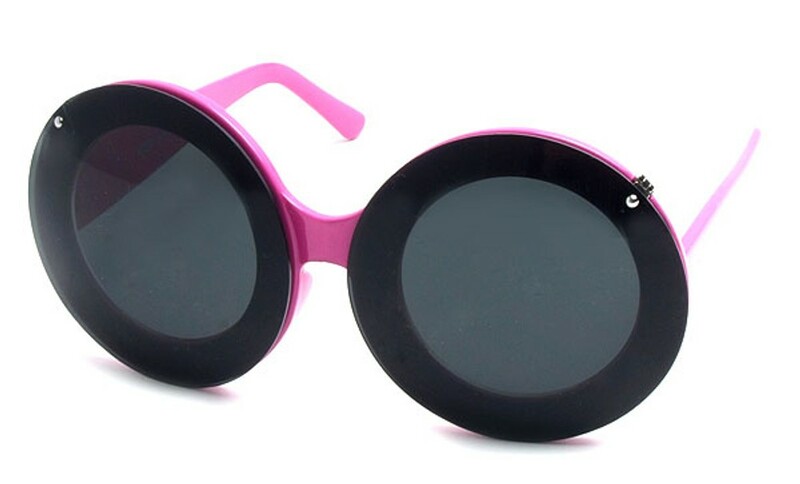 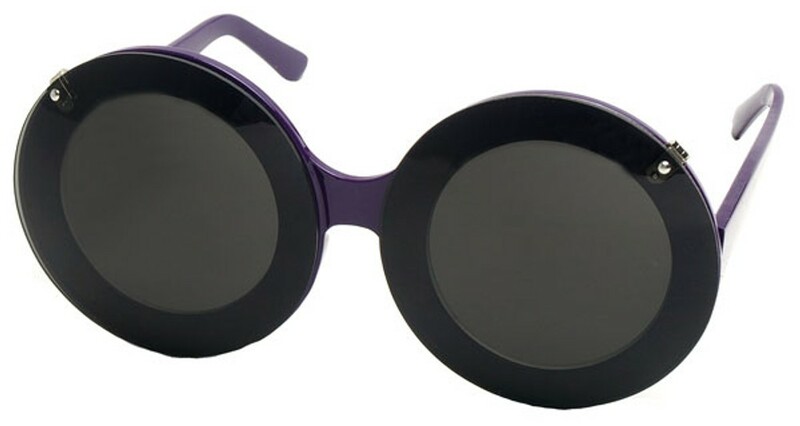 Our round celebrity sunglasses are right for you. 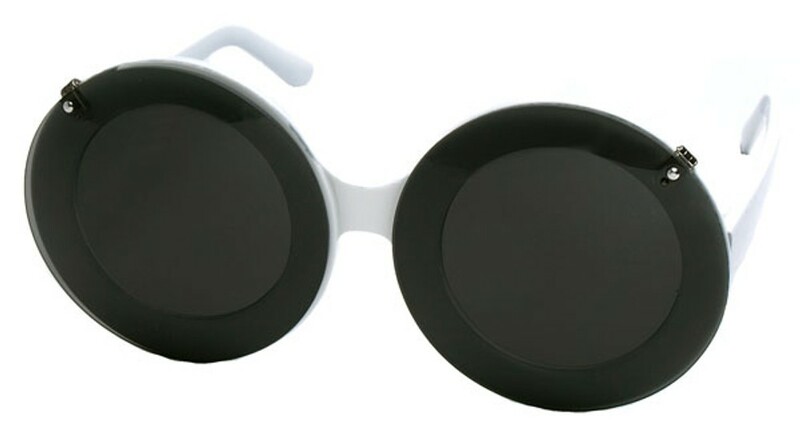 The super sized, perfectly round lenses provide UV400 protection. 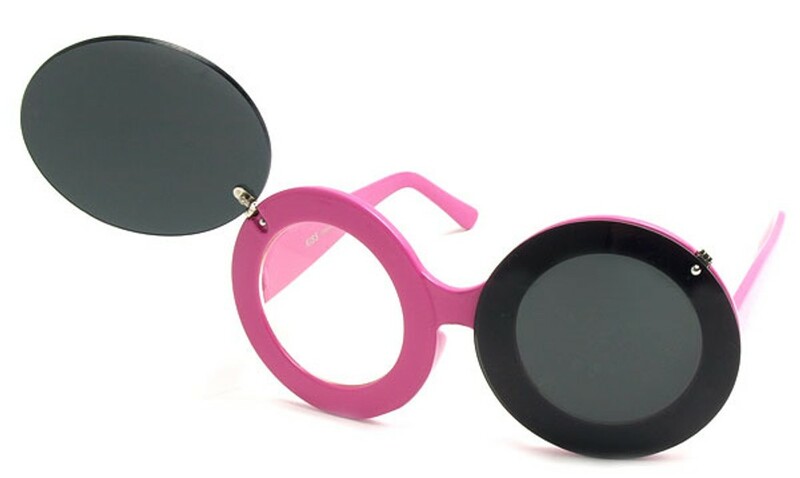 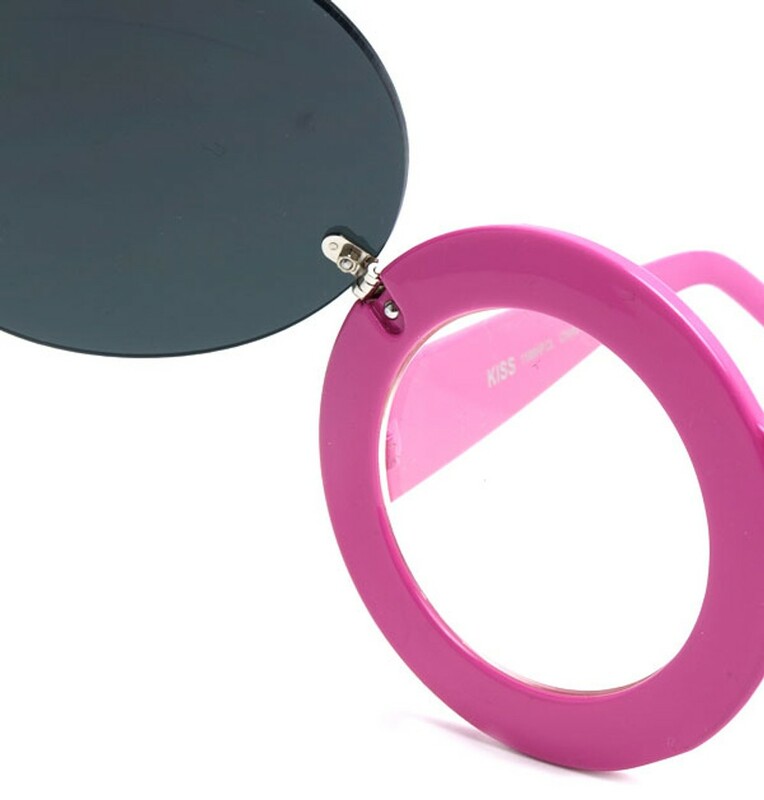 Each tinted lens flips up to the side to reveal a second clear lens and a colorful hand polished plastic frame.